As you all already know, for the last two years, I’ve been busily churning out MyPublisher photo books. I’ve been staying caught up on recent photos and also working backwards to get caught up. Anyway, I’ve shared about my photo books several times before, and recently, MyPublisher contacted me to see if I’d be interested in working with them and also giving away some photo books to you guys. So of course, I said yes because I dearly love to work with companies I’ve faithfully patronized. I’ve made 14 MyPublisher books now (all with deals from Living Social and Groupon! ), and I’ve learned a few things along the way. So, before we get to the giveaway, I thought I’d share a few tips that can make your photo books more beautiful. My first few books have the basic linen cover with a small photo in the front. These are ok, but they have a couple of downsides. First off, they’re not super wipeable, and if you choose the black fabric, it does tend to show if you get a little something wet or dirty on it. Also, the photo on the front is fairly small. Perhaps the biggest downside, though, is that there’s no marking on the spine. So if you have a bunch of these on your bookshelf, it’ll be hard to pull out the book you want unless you choose different colors for every book. Of late, the Living Social and Groupon deals from MyPublisher have been including a photo finish cover, and once I tried that, I never looked back. The large front and back photos are great, as is the wipeable surface and the fact that you can label the spine. There’s also a book jacket option, but in terms of durability, I don’t think that could possibly compete with the photo finish option. And I am all about durability. MyPublisher does offer a text tool in their software, which you can use to make a cover like the Myrtle Beach one below. To make one like the book on the left, though, you’ll need to use some other photo editing software. I used to use Picasa, a free software from Google, but now I use PicMonkey, a web-based editing software that offers many more options. I just open a photo, choose a geometric overlay and add text on top of the overlay. I then import the picture to My Publisher and use it as my cover. Sometimes, though, I still choose to put the text into an empty spot in the photo, like in the Disney book below. When I first started using photo covers, I centered my spine text. For some reason that made sense to me. But more recently I realized that putting the year on one end and the month on the other end would make it far easier to organize the books. I’m kind of annoyed with myself for not doing this right away. Oh well. At least you can learn from my mistakes! When I made my first book, I didn’t realize that you could have something other than a white background. White’s ok, but it’s pretty boring. So now I usually select a neutral gray background for most of my pages. My Publisher has some patterned backgrounds, but to be honest, most of them scream 1995 scrapbooking to me. Plus, patterns have a tendency to look pretty dated in short order, so I say stick with the solids. As I’ve experimented with different photo layouts, I’ve discovered that my pages usually look better if they’re mostly pictures and not much white space. This sometimes requires cropping photos to be vertical instead of horizontal so that they fit in the layout, but results look much more professional. Also, a full page photo every now and then is better than page after page of many small photos. Full page photos are my favorite. I’d fill every book with them if I wasn’t trying to stay within the 20 pages that come with a daily deal! You can add text boxes anywhere on a page, and usually the My Publisher templates suggest putting text in between or under photos. I really love the look of this when I want to add text to a page. I’ve mentioned this in previous posts, but Super Gloss printing is so, so, so much better than the matte option. With Super Gloss, the colors are better, the print quality is better, and the pages are thicker and stronger. Are you inspired to make a book?? Good, because five of you are going to win a free one! That’s a $56.98 value, so this is pretty stinking awesome. To enter, leave a comment telling me what photos you’ll put into your My Publisher book. The giveaway will close on Sunday, October 5th, so get your entry in now! NO PURCHASE NECESSARY. Void where prohibited. Chances of winning depend upon the number of entrants. Winner will be randomly chosen at close of giveaway. The giveaway will close on Sunday, October 5th, at 11:59 PM EST. This post is sponsored by MyPublisher. All opinions, text, and photos are my own. All of my own MyPublisher books have been purchased by me. I’d put photos of my 3 year old there. Being the third, he doesn’t yet have any books with pictures of him and would be delighted to have one. I would love to make a photo book with our honeymoon pictures. pictures of my 3 teenage daughters of course! I really need to document my family’s most recent vacation! Thanks for the tips! What would I put in? Dear ghu, I have enough backlogged vacation photos to fill an entire room of books. Maybe the most recent one. I’ve always wanted to do a photo book but I just haven’t taken the time to do it. Maybe now I will! Thanks to My Publisher and you for this giveaway! For the past 10 years, my parents have taken my sisters families and mine on an annual vacation. It has become one of our favorite things to do, and we talk about it year round. I’ve been saying for several years now that I would like to make them a photo book as a way to say “Thank You”. I know they would love it! Those are some really practical tips that aren’t too hard for me to do! We really do need to make another photobook since our last was of our wedding. it would probably be of our first year in our first home. I’d do a sports book of both my kids’ events over the last year! I love to do photo books so I appreciate the tips- thank you! i leave on a trip for Europe in a week and a half, so I would definitely love a book of those pictures! My New Years resolution is to take our gazillion photos stored online and do this exact thing. And…it’s almost October and…I haven’t even started. This would be awesome. Thanks for the tips! 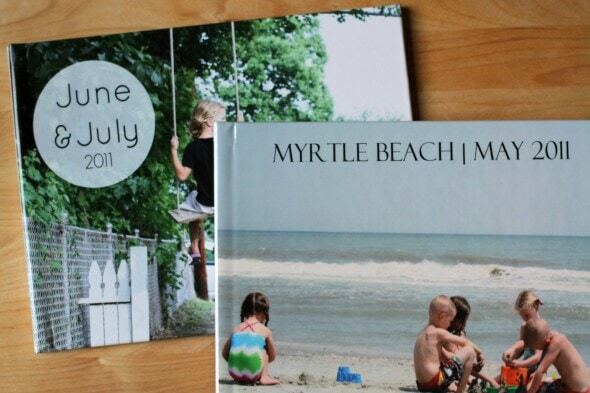 I love making photo books anad have yet to try MyPublisher! I had a baby boy in February and am in need of a photo book to show off my new cutie!! We just moved from a town we LOVED, and I’d like to put together a special book with some of our favorite photos from our time there. Hmm, well, I still need to do pictures from our honeymoon, so I’m going to say I’d do that. It would be a great gift for my husband for Christmas! I am sooo behind on photo books that I don’t even know where to begin. I’m also a scrapbooker, but then I got a full time job and all my free time went out the window. I guess I would start with the present and work backwards. Great tips! My book would be our recent family vacation – got some good pictures there! I would like to make one of my grandchildren. They are growing so fast. I think I’ll put pictures from our Disney trip this past summer. Oh my… I could go back quite a ways. I probably wouldn’t. Summer 2014 seems like a good place to start. Definitely our trip to the Oregon Coast! I would make a book of my first baby! She is now 4 months old and we have been compiling many photos! My husband and I are taking our first trip as a couple to NYC next month, and I’d love to make a photo book of our trip pics. Thanks for all of the helpful tips! Thank you!! for posting this! I always appreciate your posts, but this one is a subject of extra special significance and while I’ve done a couple of photo books in the past through other sites, I haven’t been incredibly thrilled with them. I’m excited to give MyPublisher a try with some photos I just took at a birthday party … or perhaps one of the many other events of late that I have yet to get printed. Thank you for the tips, I love that I can learn from your experience! Either Branson Vacation or my son’s Kindergarten homeschool year! my current Grand Canyon trip would be perfect for this! I would love to make a book of the photos from my trip to Boston this past summer! I’d make a photo book of our recent trip to the Outer Banks for my sister’s 50th birthday. After all, she did experience the great time we had! I would put pictures of my family! I am so, so behind on photo albums it is not funny! I was unaware that Living Social and Groupon offered My Publisher!! I am going to be on the lookout for those offers in the future! You’re books are beautiful! I LOVE making photo books ~ especially for gifts! Let’s see ~ if I won a photo book I would make a soccer album and fill it with all of our action photos of my son’s soccer games! My little hunny bunny is closing in on one year. I was planning on doing something like this anyways, but this would be awesome! I’d start with photos from about 2009. Ever since my 3rd child was born and I started using FB to share photos with people, I’ve stopped printing photos and putting them in albums. I’d like to get back to some albums for posterity’s sake. I’ve been wanting to do a special book for a group of friends, just documenting our fun over the past couple of years – this would be perfect for it! I’d make a book full of Halloween pictures! I would make a book of our recent trip to Italy and the Baltics!! I would put pictures from our 3 month stay in Maine from late last year. (We live in Florida, but my husband got a 3-month contract to do some work up there, and I went with him.) It was a once in a lifetime trip, and so far I’ve done nothing spectacular with those photos. Bleh! Thanks for the generous giveaway! I’ve been wanting to put together a book for my parents of pictures I’ve taken at their house, and this would be perfect for that project! These look great! 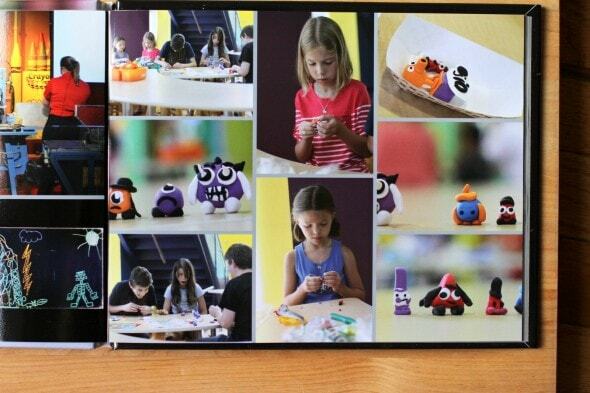 We’ve been making photo books of our trips at Snapfish for a while and this looks comparable in quality. I’ll be very curious to see how the price compares. That’s so cool! I’ve been wanting to do this with our wedding pictures, because our very awesome photographer gave us full rights to our pictures. Maybe this will be my chance! I will make one of these books for my recent wedding photos. I want to make one of these books for my husbands family in Mexico as well. I am terrible about organizing and printing our photos, so I have a stockpile for at least 3 years I would start working on! I will put my daughter’s first year in the photo book! I am so behind on doing this! I’d love a way to collect our wedding pictures from last spring! I did buy a groupon for a similar deal a couple of years ago and promised my niece that I would help her put together a family photo album as a surprise christmas present for her parents. And then for some strange reason there was a problem with the groupon deal and everybody who hadn’t used it in the first week after purchasing just got their money refunded. Since then, I haven’t gotten around to attempting it again. So I owe my niece lots of time and a fabulous photo book. And of course, there are all those photos of my trip to Australia to visit my sister in 2012. Not to mention my annual trips to Halle to sing Messiah – that’d be a good one. And … hmm … I think I really need to start finding the time to work through all my photos and start making lots of photo books. Thanks for the opportunity to win one. I’ve been slowly making “yearbook” type photobooks for our family using various Shutterfly promos. I would love to see how MyPublisher works! Great tips They will help a lot with my next (ok, first) book! Great ideas for creating books! My book would include my daughter’s college graduation with a Masters’ Degree and my other daughter’s high school graduation and softball championship photos. If I won the photo book, I would use my recent wedding photos! I need to get a book made for my lovely grandaughters and now that I am retired, I will have the time. Cool giveaway! I usually use Shutterfly, but I’d love to give My Publisher a shot for a photo book about our road trip from CT to Chicago this (past) summer! I totally love MyPublisher and used them (after reading your recommendations on your site) to make our wedding album. So much fun and so worth it because they let you print another for around $7 sometimes and we’d gotten a free copy for being a first time user. Anyway, one for each set of parents and one for us. Now I’m eager to make a first year baby book type album, but I’ve not found a coupon yet. Would LOVE to win this giveaway and finally get to make my little guy’s baby book. The free shipping is almost the best deal about this (that’s where the cost can get a little spendy, with the shipping). Thank you! My 4-year old daughter and my 19-month old son – I have yet to put any pictures from either of them into photobooks. They’re all sitting on my computer. I think I have upwards of 13,000 photos on my computer that I need to do something with (fortunately they are organized!). But I need to make something tangible for all to enjoy. I would absolutely use photos in a MyPublisher book of our family at a local playground–my son’s first time climbing the slide (up instead of sliding down), with daddy’s steady hands of course! LOVE these tips! I have been happy with the ones I’ve done in the past, but I believe if I used some of your tips, I’d be even happier! I LOVE these for gifts as well as to have for our family picture library. I seriously need to do something like this for pictures of this past year. I haven’t had one digital photo printed in over a year! I’d love to put together a book as a gift for my mom. I’d use pictures of her grandkids, whom she has only met once or twice (she lives across country). I do send her pictures of everyone regularly, but I know she’d enjoy a book! Thanks for the opportunity to win one! I have a ton of pictures of my 2 dogs that I’d love to make into a photo book! Oh, if I won, I would take a lot of new pictures to put in. I have lots of good intentions to take pictures, but not too many are taken. I’m usually too busy playing referee. Oh! My next project is a soccer book for my son. This would be great to try My Publisher. I usually use Shutterfly and I think I use most of your tips. Thanks! I would out pictures of our upcoming road trip (pacific coast highway in mid October!) in a photobook! I’d fill mine with all the pictures from my travels with my husband :). Thanks for the tips! I will be making family photo books. I love your tips! I want to start organizing my photos in photobooks like you’ve done. Wow, thanks for sharing all the great information. Definitely feeling inspired! I would put pics from our recent family road trip with Grandma! So special! I would love to make a book this year – first grandbaby – wonderful memories! If I won a MyPublisher photobook, I would finally pull together my unforgettable 2010 trip to the Philippines with my hubs, 2 kids and parents. My dad has since passed away, but my mom would LOVE to have memory book as a keepsake! Thanks for all your tips! I live making books and am heading to Budapest and Amsterdam soon! If I won a photo book I would start with my daughter’s high school graduation. These books are beautiful! I love making photo books, but I’ve never tried MyPublisher. I want to make a book of my family’s summer vacation. I live in a vacationy area so my parents, grandparents, brother, aunts, uncles and cousins all come down and rent a big house on the ocean about 20 minutes away from me. I took a bunch of pictures that are just waiting to be made into something! Good point about patterned backgrounds becoming outdated quickly. I hadn’t thought of that. I’m working on a My Publisher photo book at the moment, so getting it for free would be awesome! I have always wanted to try this, but have been too scared to try it! Thanks for all the tips. If I win this (or if there is another groupon deal) I will definitely give it a try! 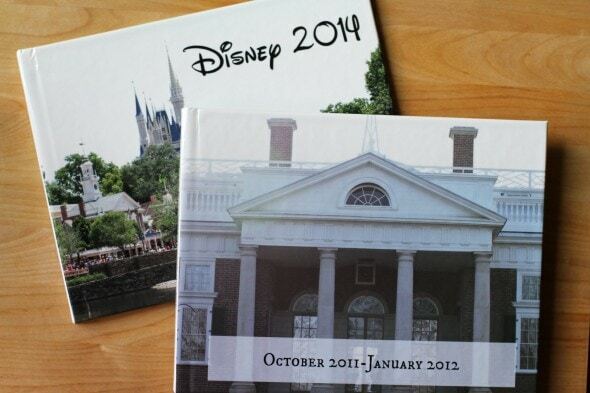 I have photos of my husband and I at Disney World – I would love to have a photobook to preserve those special memories! Super! I would make one of my 2 sweet boys! I’m like you in that I used to be an avid scrapbooker and over the last few years I’ve gotten behind! So I think I would have to start with 2009 pictures to put in the MyPublisher book (if I win). Or maybe I’d just start with something recent so it will inspire me to do more! Thank you for all the tips! Glad to hear I’m not alone! Ha. Literally yesterday, I spent like $50 ordering almost four years’ worth of prints for scrapbooking. So I would make a gift photo book for my mother-in-law, with pictures of the grandkids. I’d us this summer’s pictures of our trip to the zoo – First trip for my nephews, last summer after graduating for mine! I’d love to give this a try. I have so many pictures I’d love to get in a usable format but it totally overwhelms me to think of doing a scrapbook. If I like it it might even tempt me to look into Groupon which totally scares me away usually. I have a whole box of photos from our adoption trip to China (almost 12 years ago !) that are desperately in need of being put into a book. I really need something to get me started! I’m an event planner from work so I would make a collaboration of the events from 2014, which is the centennial anniversary of my company! I would put my wedding photos in a my publisher book! I’ve been using Shutterfly to create “scrapbooks” for my son. I’ve done his first year so far (he’s not 2 yet). I’d love to try out My Publisher for his second year. Thanks for the wonderful tips! This is my daughter’s senior year in high school and I’ve been wanting to make her a picture book of favorites. This would be something she could take to college with her and would include favorite vacations, friends, family events, parties, etc. 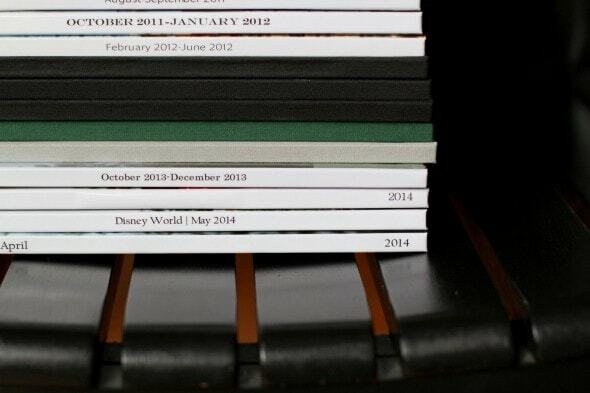 I love the glossy cover you did with the Disney writing! We are Disney fans ourselves and I can see doing a page or two like that. Thanks for sharing. Thanks for all the great tips as well! I would put our vacation photos from this year. 19 year old daughter with us since it is her fall break from college. I’ve made books for each of my babies’ first years, so I’d make one for this baby. In addition, I would like to go back and make yearly books for the last five years. I would make a photo book for my brother with all of our crazy pictures!!! I would create a 50th Anniversary book for my parents! I’ll use it for photos of my first house, the before and afters, and all the fun stuff I got to do along the way! 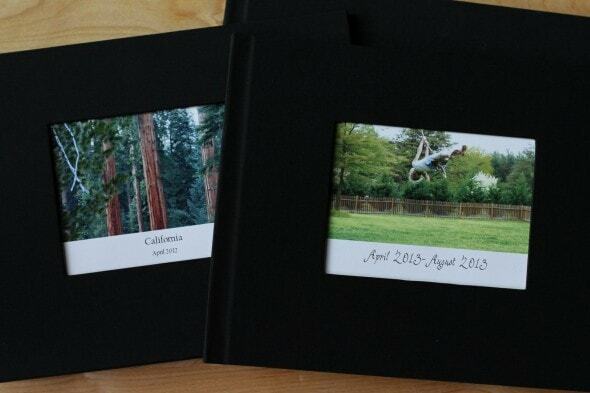 This is way cooler than a cheap photo album and printing pictures! What a wonderful giveaway! I’d love to be able to put together an album about our family’s trip to Boston two summers ago. We had such a great time, and learned so much. I frequently find monarch caterpillars, and keep them until they hatch into butterflies. I’d make a book of all the pics I’ve taken of their amazing transformation process. This is so great! I have made a book for each of my girls after their gymnastics season. It is such a wonderful way to finish out the year! Would love to do it again for them! I’d make a book with photos of my growing family! I love photobooks and wouldn’t mind trying out MyPublisher. I have tons of these gorgeous nature/flower pictures that I’ve been meaning to print out and compile. Coffee table book here I come! Thanks for the tips! I will have to rethink how I am labeling the spines on my photo books. I would use this book for our honeymoon photos. I would put the pictures from our family trip that we took to New York this past January. Good tips! I need to make a photo book of my twins baby year before they go to Kindergarten! Your tips are intriguing to me, because I used to do my photos this way (using shutterfly) and now we find that we LOVE when I do at least a label and a ribbon (like to separate photos with, when you have a photo-full page. Not like a flower tacked to the top, though my mom loves those sorts of things in her books) per page. My husband and I find it much more to our taste. I never thought about the dated-ness, but after thinking about it for a minute, I LOVE IT. Our clothes and hair and our children will be dated, the scrapbook should be dated too. Like an old house, right? It looks off when you go into a 1920s bungalow and it’s decorated like 2005. It looks fabulous when it’s decorated like the 20s or totally neutral. So, I should make sure that our older photo books (I am missing one from my son’s first year, and all our photos from prekids) have a neutral theme, unless I can find an appropriately old theme pack. I would design the books with our 2014 photos! I would fill it with pictures of my son’s first year of life! I Will Put Pics Of My Now 2 Month Old Baby, Sadie. It’d be a fantastic way to document our first 4 years here in Portugal since we relocated our family in July 2010. I would make a book containing the photo’s from my mother-in-laws 90th birthday party/reunion held in August 2014! What a great day and would love for her to have a book to look at. It’s time to make a book of baby #2’s hospital stay and what better way than with a book giveaway? And I’ve been wanting to try MyPublisher. Lots of pictures of my children “at school” (homeschool) – to make sort of a yearbook for them. That way it will be easier to remember what year it was that we……. I’d love a book of my two boys (ages 1 and 3) at the pick-your-own apple orchard and the pumpkin farm. Fall pictures are some of my favorite! These are great tips, thank you! I would start with the vacation we took this past summer because it was the first time we’ve seen family since we’ve moved here 6 years ago. I am forever catching up on photo books! Would love to make a dent in this year’s event photos. I have always loved photography but not so much scrap booking…I have not done a photo book and need to pull the trigger and finally start my creative juices flowing for one! I have 3 beautiful kiddos and so many pictures sitting on my computer I am ashamed. I have done calendars every year, I have framed pictures, and I have printed pictures for projects for the kids at school…I have no excuse please get me on the road to making my first ever photo book…I will even share it when I do Thanks for all the great tips! I’ve been procrastinating on making a photo book of my birthday trip to Paris. I’m sure this would be a big push to get it done so we can easily enjoy thumbing through the memories! What beautiful photobooks! Our little family is soon to grow from two to three – a photobook like this would be perfect for all the pictures of our newborn baby. We will be taking a trip in a few weeks and I wanted to put the pictures in a published book. I’ve been digi scrap booking for years now but now I just want to show off the pictures. They speak all the words. I would make a book with pictures from our summer here in Colorado! 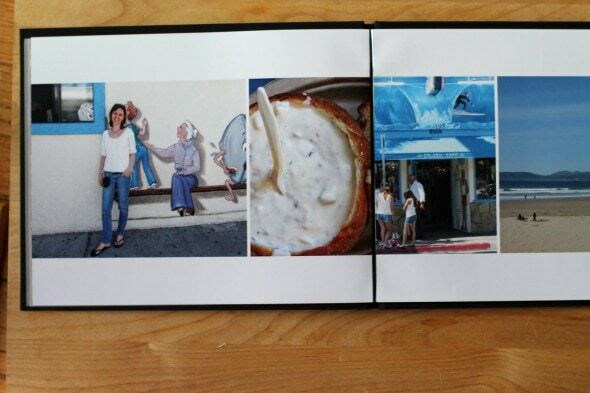 My photo book would be fill with family photos that show our love for one another. I want to make one for my sister of my little nephew so I will be using photos of him for the My Publisher book! I would compile pictures of normal life through the last year. Thanks for all the tips! I would finally get around to making my boys’ baby books! I am so far behind that I would likely start with my most recent photos. Thanks for these helpful tips! I’ve been thinking of making a photo book for each of my children. My husband gets a photo calendar each Christmas with pics of our kids throughout the previous year. Think it would be a nice present for son & daughters too. Thanks for giveaway & tips! I am trying to do a photo book for each year of my kids lives, but I didn’t start until my second child. So I need to go back and do the first couple years of my first born. Also, you are ending this one my birthday, and this would be an awesome b-day gift for me! Love your books and you blog. I’ve been compiling and culling historical family photos with my mom; need to put them in far more compact books for the next generation. thanks. I would put in pictures of my daughter to give to grandparents out of state. Hmmm…hard choice. I think I need about 20 of these to go through all our family photos. I think I’ll have to start buying them and working my way backwards, so I guess I’d start with our most recent photos from this summer. I will put together a book chronicling the past summer with my 1-year old son! I have so many picture uploaded already and would LOVE to put together a book. I will make a photo book of the fun we had at my parents’ house this summer for my mom for Christmas. I’m so far behind I don’t even know… But I might start with my trip to Europe a couple years ago! I would love to win this! I have just started to follow you. One if the most inspiring posts that I have read here has been your journey wit your photo books! I would use these in the exact way you have. One book for each year. I have tons of photos that are just sitting there! Fours kids and a Disney trip later! I will put pictures from my children’s childhoods. They have complained that I did not take enough pictures of them growing up. They don’t realize that I do have the pictures. I have the first couple of years in photo albums. The others are just in a hatbox our two. This would be an incredible surprise! I would love to create a book of all the pictures I took of my daughter this year! LOVE your tips; very down to earth and usable. Makes me ache to create — would love to WIN! We are planning a small getaway in the near future. I would make a book with just pictures from the trip. Starting with the present and keeping photo books seems much less daunting than trying to put together picture books from the past. I can’t wait to get the pictures from my daughter’s brownie troop into a book. I know she’ll have so much fun choosing the photos together. I have been putting off doing books of my 1800 !!!!!! REALLY !!!! Photos for years . This would SOOO get me moving . I recently moved back to Florida to be near my 5 grandchildren. I would make a book with all the things I have done with them since I came back. I think I would make a book on my family through the years. I’ve never made one before, so this would be a first. hmmm I think I would make a book of pictures of my 4 month old nephew. 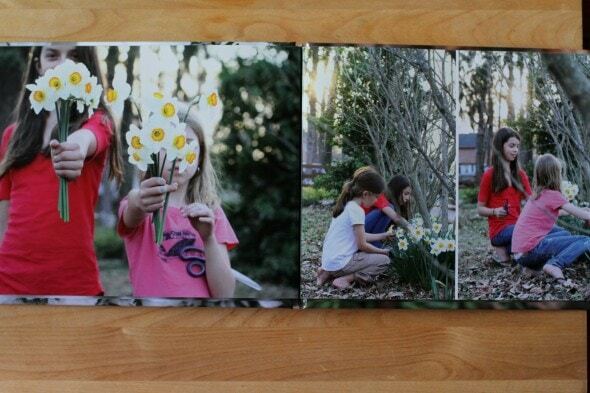 Love the idea of making a photo book! Never have done it and would love the motivation to get started. I would put pictures of my kids in MyPublisher book. You are an inspiration! Thank you for the tips and giveaway! What an inspiration to finally do what I have been neglecting . . . sort my digital pictures! Three kids, so many online albums — would love the chance to test out My Publisher. Thanks for the tips, and I love your albums! Like you, I now do all my scrapbooking online. I’ve used Shutterfly up to this point because there are so many free 8×8 deals, that I can easily create free books for all our vacations and special occasions. Still, I’ve heard good things about My Publisher! Isn’t it funny how we learn as we go? I did date my spines from the beginning, but I chose some patterned spines that look too busy. Now, I stick to simpler things and make sure my text always stands out dramatically. Great tips, Kristen! I think I’d do a book of my daughter’s pictures (who turns 10 in just under 2 months)! I love the idea of starting with recent pictures and going backwards. That’s probably what I would do. I’ve been horribly negligent about keeping photos organized. So I have many, many years of backtracking to do. Like 20!! It would be great fun to start with a free book. We also took the kids to Disney over this last summer.. would love to get them into a photo book! These are fantastic! I’ve never done one. It would be of my boys! I have so wanted to start doing what you are doing with your photos. We have a few event oriented books, but I’d love to begin making a books covering a certain time period. I am also thinking of doing a book for each child and giving it to them on their birthday… though maybe an every other year one with that idea! Thanks for the giveaway! I would create a collection of photos of the people who mean most to me. Thank you so much for sharing your experience. I’ve been faithfully labeling and categorizing digital photos of our family for many years waiting for the perfect time to put them into an album and share them with my family overseas, since they do not have access to a computer and therefore can’t keep up with all the changes in their grandchildren’s lives. I must admit that photo books from the last 10 years (gulp) have been on my to-do list for… the last 10 years? Maybe this would finally motivate me to get ‘er done! These are such great ideas! Thanks for sharing:) I would probably do our Gatlinburg trip from Dec.2012. That was our first non-camping vacation in years. Although our annual camping trip is fun too. My husband and I are newlyweds and I would love to put together a nice photobook of our recent honeymoon trip! i have so many photo books to catch up on! gosh, it’d be hard to pick. but i’m trying to get all my international trips taken care of first, so i think france is next. Baby photos of my 22 month old. With #2 on the way I need to get all of #1’s photos organized ASAP! My 93 year old mom and I have carefully culled years of family photos, which was a joyful process. I would love to make a few compact books for posterity! Thank you. I would play catch up and do a book of the past year. I have not been good at taking photos lately! I’d love a free photobook to make an album from my recent honeymoon pictures! Oh, I’d love to just do pictures of my husband and me from the past few years — we made one of these with our wedding photos but haven’t done one since then! Or pictures from when we were dating/engaged — that might be even better. I’d put pictures of my kids from the last 4 years. I haven’t printed photos for over 4 years now (except bigger ones to hang in the living room) and I desperately need to get caught up! I think I would do a book with pictures from when my sister and I were little. I have been scanning them into a file on my computer and I think a photo book would make a great gift for my Mom. I will put our Disneyworld pictures from this summer. My kids are 2 and 3 so it is a precious time to remember. This year was filled with many small weekend getaways. I would love to put it all together in one book! Thanks! I will put photos from our trip to Crete this summer in my photo book. I would love to put my upcoming (next week!) trip to Magic Kingdom and a Disney cruise in a new MyPublisher book! Thanks for all of the helpful hints. I would use to make First Day of School Pictures from throughout the years for my adult children and young grandchildren. Wouldn’t that be fun? Thanks for the tips! Our 10th anniversary is coming up, so I would likely make a book for my husband to document the first 10 years of marriage! Thanks for the opportunity! Vacations! I have years of family vacation photos that would look great in an album like this Thanks for the tips! I need to make a photo book of my niece’s 1st year still! This would be the perfect opportunity. Oh, and one of our recent vacation. I need a groupon too…. ! I want to make a photobook for my 2-year old daughter of all of her favorite photos. They usually include daddy cuddling her or her playing outside. What an awesome giveaway !! I’d probably focus on photos from the vacations we’ve taken over the years but just a few from each so I can show how much my kids have grown over the years. I’ve made one photo book, of the year that my daughter was born. She just turned three, so I have a lot of catching up to do! I like your idea of working backwards in time, so I’ll probably start with this summer. i would make a book of our recent trip through yellowstone, grand tetons and other national parks out west. I would make an album of pictures from my wedding. I’ve never made a scrap book before, but with three kids now, I bet I could fill 20 pages easily. Thanks for offering this giveaway! I’d probably make a book for my mom. Though I did not have access to a camera for quite some time and now most of those pictures are of my cat or varying crochet and sewing projects. She’d still like it, I think. I want to scan and put all of my daughters baby photos in photo books. Our oldest turns 13 (teenager!!!?) this year, and I have been thinking of creating an online photobook for him, highlighting all of his years thus far. I have never made one before, so thought I would give it a try. GREATLY appreciate your insights/suggestions…. This is perfect timing for me. Thanks!! My daughter just got married. I would like to create a book for her that would include photos from her engagement, her bridal shower and the preparations leading up to her wedding. Thank you MyPublisher for this opportunity. Your website video is awesome. I would certainly do a book about 2014! I like you… was/am a scrapbooker and have not kept up like I should have. Starting in the present and working backwards is definitely a better idea (and probably a lot more fun), and one that I need to do asap! Grandchildren – I’d fill the pages with photos of my precious grandchildren. They make my heart smile. My oldest daughter recently graduated from high school, so I would do a school picture compilation book along with pictures from her graduation and party! My photo book would be filled with photos of our rapidly growing children and the memories we have made! Wonderful tips! I’d make a photo book of our wedding, which was 5 years ago now, but I am not a crafty person, so we have a photo album, but no scrapbook or anything. A book of my son’s first 10 years, for his Nana! I have lots of photos to organize. I’ve only done a few photo books and I have many more events to organize. I would put in pictures of our wonderful vacation we just took to Vancouver Island, B.C. where the scenery is so fabulous! It would have pictures of family and area I spent most of my adult life at. All your tips have inspired me to do something with them instead of just putting them on a disk. Thank you for being so informative. My first thought would be to make our wedding album because we never did that. But on second thought, I’d like to make a photo book of my dogs for my uncle. He doesn’t get to see the puppies that often and talking about them really makes his day so that would be a nice Christmas gift for him. I’ve always wanted to make a photo book and your tips have inspired me:). I would use my daughter’s marching band pictures from the last 4 years to make a book. It would show how much she has grown and matured and she would love the memories. My sister and I, both in our 60s, took a fabulous trip to Ireland last year and I want to make a photo book for her for a birthday gift. Thanks for your frugal tips. I’ve done one other photo book, and to do another, I’d include this past spring and summer of both of my children. They would love to have one! Well how can I choose which of my three children to feature? My oldest daughter is in Assault City Roller Derby (Syracuse, NY) and those photos are awesome!!! They would look great and I have enough for a whole book. My youngest daughter plays lacrosse for Utica College (Utica, NY) and I have many pics of her in action. My middle child, a son, doesn’t have any activities to photograph except his face. haha. We also have two dogs and two cats. Wow. The list is endless. I definitely would have to wait for a Living Social and / or Groupon to get more books. One will not be enough. I love yours. Thanks for the tips. And for hosting the giveaway. I’d love to make one of these! I’d put a compilation of family Christmas photos in my photobook. Love the tips! I’m goi g to cut and paste them into a word doc for future reference! If I win a free book I’m going to make one in honor of my 10 year wedding anniversary (it’s next month – 10/10) I’m a traditional scrapbook person but very behind. I make them by year. A different kind of book might be nice in honor of this special occasion. I’ve also been thinking of converting but o have SO much scrapbook stuff to use up. I also don’t know what to do with all ticket stubs, invitations, announements, etc. that I include in my books. Thanks for the post!! I’ve only made one book with My Publisher so far and I really love it. Am anxious to try another. Thanks for the tips! My mom is 67 years old. I have always wanted to try a photo book. If given the opportunity I would make a book of my mom through the years. Who knows it might inspire me to make other books. Like you, I have many past years of photos to print. Where to start?? I guess I might start with a trip we made this spring to the other side of the country to visit our son in Washington. I’d like to print a book of our summer pictures. Thanks for the advice! I have my daughter’s first year of preschool pictures and artwork snap shots that really need to go in a book soon as another year has started. I’m looking for photobook deals to gift to my parents and in-laws after our upcoming wedding! Also, a sweet souvenir of our honeymoon! I would start with 2014 holiday season. It may take me forever to go back and get the past done, so I’d just start with what is happening right now! I would love to do a year in review as you do. I would make a My Publisher book of the first year of our family’s new greenhouse business. It would be awesome to have those photos in one place and to add comments now while I remember how this first year has gone. Thank you for the chance to win- I love your posts about your photo books. Newborn photos of my now 10 week old when he was just 15 days! great tips. thanks! i’ll make a book of photos from our lake trip this summer. I would put pictures of our recent camping trip to Zion with my sister and her kids. I would have to start by catching up on all my sons baby photos… He’s now 2 so time to get that started! I think I will make all our photos into photo books! I would probably start with our recent road trip to spacecamp in Alabama!! Thanks for the great tips! We have an 18 month old little boy. No shortage of photos here! Photos from my youngest son’s first year. That was three years ago. Hi! Does this work for Canadians?? I will put family pictures, of course Because they grow soooo fast and we forget all the little things…. Yes indeed!! I know they ship to Canada and Europe. To start off I’ll do a book of a long-ago but not forgotten family trip. We have an empty nest now and this will be a great reminder of by-gone days. The first of many books, I hope! Great Tips! Photos of my 2 beautiful granddaughters!!! I will use pics of family & pets. Thanks for the great tips! I’ll finally make photo baby books!! I would love to win this! I would put my youngest son’s baby pics in a book (he’s 3.5 now). I’d fill a photo book with pictures of my newborn baby boy! Great giveaway! I will put in pictures from our upcoming family Thanksgiving cruise! I, like you love to do photo books! I usually put our vacation photos in a book; however, this time of year is “pumpkin patch” time! So, I will definitely be using the photo book for those pictures. They are by far my favorite! Even though my oldest is now 14, (13 and 6 are the other two), we still do the “patch pics” every year. They are surprisingly cooperative, and the fall colors make for the most awesome photos! Thanks for all your great thoughts and ideas! Blessings to you and your! I love the idea of photo books! My sister and I did some for family members as gifts a couple of Christmases ago. If I did a new photo book, I would fill it pictures from our Colorado vacation from this past August. It was our first “real” vacation out of state. We had so much fun and made so many memories! Thank you for all of these tips! I’ve never made a digital book before but I’m making the switch now since I used up our traditional scrap books. Ours will contain 2013-2014 photos;). I have tons of photos to use, but I really want to make a book for this current football season, as my daughter has started high school and is in marching band. It will make a fantastic gift for her to document this exciting time! It would be so hard to decide which pictures of my kids, ages 8 and 12, to put in a My Publisher book. I think it might be baby pictures though! My oldest daughter is a high school senior this year. I would love to make a book with photos of her through the school years as she gets ready to start the next chapter in her life! Great tips. I love making photobooks and if I win I plan to use it to make one for my daughter and her fiance with their baby pictures and photos from when them met to the present. They are getting married Dec. 6 and that will be part of their wedding gift – something to treasure! Many thanks and hope I win. My first grandchild is 9 months old. ‘Nuff said? I would us photos of my kids and grandkids. My son is a good photographer, and takes lots of pictures of everyone at Christmastime. My husband just passed away two weeks ago. I have lots of photos that are sitting on my computer that I would love to put in a book and keep it by my bed so I can look at it before I go to sleep and when I wake up. I’d make a book of my two year old, since I haven’t even purchased a baby book for her yet. I’m getting married soon and would love to put together a book of photos of the works-in-progress of all the cool art (decorations, wedding favors, etc.) that we are putting together for the wedding! I’ve been using Walgreens for my photo books and discovered the same thing you did about the front cover pictures–sooo much better in a bigger size. They don’t have all the options MyPublisher has, so it’s good to know what’s available out there (and the best way to use it–thanks, Kristen). I have so many baby/toddler photos to organize and make books for two kids now, its crazy, and this would help me immensely in doing so!!! I need to get this done. What a great giveaway! I have so many pictures that I want to put into books, but I think I would start with my wedding, 13 years ago. I would love this! My oldest son started soccer this year so I would probably make a soccer album for him! I would make a book of my daughter’s first year. Our wedding photos! Almost three years and we never printed them. So embarrassing. I would definitely use our photos from our last family trip to the Florida Keys. Our oldest son will be leaving soon for grand adventures elsewhere, and it would be a great gift for him. I love your blog and reallllllllly love your tips for the photo books! Your pictures are always so charming. You really have an eye for details and composition. I would love to make a photo book of my quilts. I am an avid quilter and people are always asking me if I have pictures of them…and I do…but just not in an organized way. I think this would make a beautiful book. Thanks. If I were to win, I would actually gift this to my mother who uses My Publisher at full price. Due to my being an avid FG blog reader I bought some groupons for my mom to help elliviate costs. She is new to the Groupon/Living Social/etc world. Thanks for this opportunity! I would definitely make my book one full of newborn pictures of my son since we never had any printed and he’s nearly 5 y.o.! I love my My Publisher books! If I won is use it for our upcoming Disney trip this fall! I would put my daughter’s senior pictures in the book. She’s my oldest and the first who will leave the nest for college. I can’t believe she’ll be gone in less than a year! My sister made one of these for our disney trip. I’d like to have one for our Jackson Hole trip. I’d either do a re-cap of 2014 or do a book as a Christmas gift for the in-laws. I’d put the pictures of my daughter that never got scrapbooked. Probably would need far more than one book to do that though. I’m working on old photo books too! I never did our engagement and wedding photos from 2011, so those would get to priority. I always try to make a book for every year for my daughter and one for any special events that we may have. I could use this book for 2014 or catch up from previous years. I have made several photo books, but I learned a lot of great tips here. Thanks! I would make a photo album of our summer adventures. Overall it was a summer I’d like to forget but there were some really good times! Baby pictures from our first year as parents! I love these tips and will try to incorporate in my next photo book. I would make a photo book of our trip to China to visit our daughter who was living there. Thank you! I’d love to win a photo book. I made one with pictures from my daughter’s first 3 months of life…she’s now 5 and I have lots of catching up to do!! I love the idea of photo books. I’ve been scrapbooking for years, but now with two kids I don’t have time to make them fancy. A book would make things more organized. I’m going to try it for my Family year book. I have 7 years of photos I keep saying I am going to make photo books for. I need to win a free one and do it! Thanks for the tips! I’d like to do a lot more photo books to keep up with my pictures! Great tips! I am getting ready to put one together for my daughter (she finished high school this summer) and your tips will help! I need to catch up on 4 years of our family’s life! Picures from 2009…..im so far behind. We did a summer siding project this summer that transformed the outside of our home. I took pictures throughout the process. I’d mix them in with other shots from our summer–camping, fishing, hiking, etc. I was also an avid scrapbooker when my kids were young but now I have accumulated many years of digital photos which I would LOVE to put in a photo book. Pick me please!! I think I’ll FINALLY (6 years later) make a album with our wedding pictures. I am so excited to make a photo book with our summer travel pictures! What a great give-away! I would make books similar to yours to catch up on my girls’ homeschooling adventures. Thanks for all the great tips. I’d love to make a book for our family beach trip. I’ve made some photo books before for each of the kids as their baby book and gifts for the grandparents. But since then, I’ve just stored the thousands of photos. 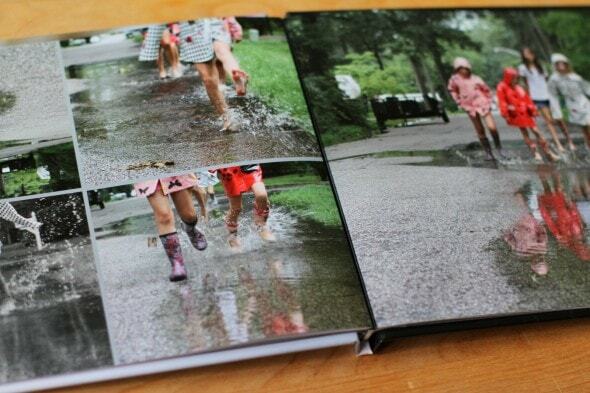 This would be a great idea so that our kids can have photo memory books like we have of our childhoods! I think I would make a photo book of my recent Disney Cruise on which I celebrated my 30th Birthday! I would put I the photos I took from this past year. I usually do a book per year or event. I need to do my youngest child’s baby book!! I made a photobook for my husband when he was selected to deploy last year. I still need to work on our LIFE books. I only was able to do the first 5 years. I also need to do one for our son who turns 21 this year. This would be perfect to make a honeymoon photo book. (A project that’s 3 years overdue). I keep telling myself I will get to it one day. My daughter is nine months old so I would put the photos birth to six months in a first photo book! I hope I win! I’m contemplating making a photo book for my inlaws of them and their grandchildren. A win would seal the deal Thanks for the tips!!! I was an avid scrapbooker for years, but have not put anything in an album since… 2006… I would love to start experimenting with digital photo books, as the budget allows! Photos of my kids when they were babies thru Pre-K. They are so big now! One of my roommates is getting married in March, so the other bridesmaids and I are going to make a photo book for one of her gifts! Pictures from our trip to Yosemite. We went 2 years ago and I still haven’t made a photo book! Still need to make a book of our adoption trips to China! Pictures from our recent trip to Austria! Grandparents would love to have a photo book to remember that trip. I’d love to do a book on my 25th wedding anniversary trip. I would like to start with both of my kids graduated twice in the same year. My daughter high school my son from 8th grade then 4 years later we did it again she graduated from college then him from high school. I took many pictures from both of those events and would love to put them in a book. 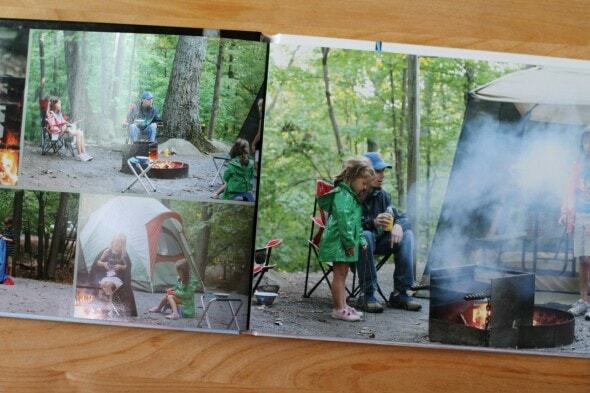 Good tips I’d make a photobook of our family’s summer camping adventures. I would love to make a My Publisher book for my mother, from our family vacation we took together. I make photo books of my daughter every year, but I think I’d like to make one featuring my photography for a change! Question– Based on your previous recommendation I use Picasa. I do wish there were more functions but I have all my photos organized and backed up through them. Did you move everything out of Picasa? Oh, no, I still use Picasa for organizing and sorting. PicMonkey is definitely not good for that. If there’s a photo I want to edit more thoroughly, I export it from Picasa and upload it to PicMonkey. I would make a book with photos of my grandmother throughout her life and give it to my mom. my mom, my grandmother and I have had a very close relationship my mom is fighting lung cancer and my grandmother passed away last month at the age of 99. While I look at the possibility of losing my own mother, my heart breaks for her as she grieves the loss of her own. I think this would be a lovely ray of sunshine for her. I would do an ABC photo book for my youngest. Did one for each of the other children but she didn’t get hers yet. I would do a book of our trip kayaking the Missouri River! I’ll use it to make a book of my vacation down the west coast I just took! I would love to win a free photo book. I would use it to scrapbook my wedding (May 1993.) All these years, and I’ve never gotten around to it. The old way of scrapbooking seemed to take too much time and trouble. These photo books seem so easy. Thanks for the chance to win. I would love to make books with photos of my grandchildren. Thanks so much for the helpful hints. I’m 6 months behind on my promise to give the grandparents a photo-book every 3-months for 1 year…what was I thinking making such a promise??? What a neat giveaway! If I win, I promise I will actually use it to make a photo album, probably of my upcoming vacation. I would put pics of my kids in the photo books. I’m been meaning ot start doing this but haven’t yet… Here’s my chance I guess! I would put photos of my travels with my new boyfriend in a book! I really need to make a May book. May 2014 was a doozy-2 graduations and the accompanying celebrations! It would be fun to do it in these books! Love the tips! Thank you, thank you, thank you! I would make a book of my grandson’s soccer games or, depending on the time requirements, of our new grand daughter who is to arrive in January :-). I’d love to put my personal engagement weekend photos as well as professional engagement photos into a photo book! It’d be a great way to display such a wonderful time. I’d make a book of baby photos of my kids … who are now 2 and 3! They’re starting to ask constantly about themselves as babies, especially the 3-year-old! I just had a baby 2.5 months ago, so I’d make a photo book all about her. I’d probably do an album full of before and after pictures of our house… from 8 years ago! What great tips! I try to make a photo book every year. It’s going to be time for this year’s book before long! I would make a photo book of our trip to Florida and the Bahamas that we took this last spring! We haven’t done anything with any photos since our wedding so I would start making a book from there and hopefully keep up with your method! I’d love to get in the habit of documenting my 2 year old’s adventures! What a fantastic offer. I would put pictures from our vacation this summer. I rarely get to see my family, and a photo book would help ease the pain of separation! I have wedding photos from a dear friend that I would make into an album to gift them. I would do my daughter’s baby photos. Your post makes me want to take more pictures! I would love to make a book with recent photos of adventures with my grandkids. I’d start with pictures of our first camping trip. It was fun for all 3 boys, my husband and I. Thanks for your great tips! 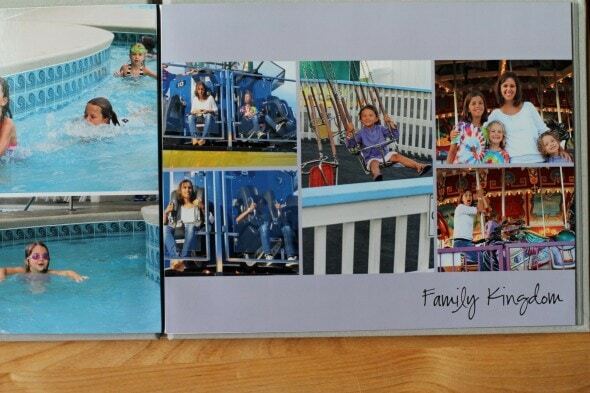 I’ve never tried MyPublisher before…I would fill a book with family pictures from when my teens were little! I would create a book of my family’s summer trip to Boston. Thanks for the tips! I’d make a book of my daughter’s recent HS graduation. Our church celebrated a 25 year anniversary. I took many photo and would like to put them in photobook form rather than print and put in photo albums. We have 25 years worth in the photo albums. So, this would be a nice transition to CONTEMPORARY! Excellent tips, Kristen. To be honest, I take about 40 million photos a day, but I don’t like photo books. I would super-love to give a MyPublisher opportunity to my best friend, though. Her birthday is tomorrow! We went to Disney this past March and I would LOVE to put all of the pictures from our trip in a photo book. I also have several other years of photos I’d love to put together (including our wedding!!!) Let’s just say I’m way behind on this front. I’ve heard great things about MyPublisher! My husband and I went on a birding trip to Ecuador earlier this year. The birds were amazing and would make a great photo book. Also, a book with our grandkids would be fun. This is great. I have a coupon waiting at home for me. Please enter my name. I have been inspired by the photo books that you have been doing for your family. I would make a first year book for my almost 7 year old son. Life has been so crazy since he was born that I haven’t had a chance to put a book together for him. I will use pictures of my grandson. He is 6 1/2 months old. I keep him most days, and I am always taking pictures of him. He is my only grandchild, and he is so precious. I would love to make a book of some of his pictures. I’d love to make a book of our family vacation this past summer. There were so many great gems of the first grand kid in the family and the sun and sand. Appreciate all of your tips. This will be a big help. I would love to make this for my husband for Christmas! My daughter-I would do 6mo to a year. Thankyou so much for all your tips. I too used to scrPbook back in the day and now I love making photo books too! I look forward to trying my publisher. Amazing photo book pages! I would make a book about my two daughters and some family things we do together. Awesome! I would love to win the My Publisher give away. Every year since (oh too many to count) my two friends and I have made time out of our schedules to do a “Get-Away” weekend, usually we go to Lancaster. We are all in our 50’s now and I have taken so many pictures along the way I would love to do a book for myself so I could get the hang of using the My Publisher program. Then I would like to make 2 more and give them to each of them for Christmas as a wonderful memory of our trips. I need to do a childhood photo book of my daughter who is now 33 years old! Pictures of my four girls growing up now that they’ve all left home! I have thought about several ideas for photo books but the top idea is to put together a book of last year’s learning activities – from our co-op, field trips, vacations, experiments, kitchen projects, 4-H activities, and other things. Right now all my photos are “held hostage” on my computer. DH and I married with very little fanfare, but thanks to my sister, we do have photographs. Our second anniversary is approaching and a My Publisher Book would make a lovely and frugal gift. Whoa, it’s been almost two years already??? How time flies. My daughter just turned two….so I would make a book of those first two terrific years. (Maybe that would require more than one book, though.) Thanks for the great tips! My grandfather passed away on June 29th of this year, and my mother, an only child and life long daddy’s girl has been absolutely heartbroken since his passing. We are not a scrapbooking family so most of the photos we have are stored away in boxes or still just digital files on a laptop. I would love to design a photo book for my mom of all of her favorite memories with her dad to give her as a gift this Christmas. I am so inspired after reading this post that it would be an absolutely beautiful way to honor his memory! Family photos from this past Christmas! I would do a book dedicated to our daughter’s 1st year. I did more with photos with our son, but all of the photos of our daughter are sitting in our computer waiting to be either put into a book, or printed to frame. A free book would certainly get us moving on getting that completed. I’ll put photos of my 18 month old daughter in my book. Wonderful tips!! I’d put pictures of my children in a book!! I would love to make a photo book for our recent trip to Myrtle Beach. I am embarrassed to say that when I switched from film to digital photos – well, I haven’t done anything with those photos, ever. Years of them! Just sitting on my computer or in the camera or the phone. I really would like to make a book of some of them and have started watching the deal sites to try it out. I would love to create a photo book of my son’s 1st birthday. Thanks! So cool! I really, really want to make a photobook of our wedding…four years later and I still haven’t gotten the pics off the computer! I would make a book of my little boy’s first year! I would use our pictures from our family vacation this summer to Tennessee. Loved reading the tips! They will be very helpful as I start to make my own photobooks from 2014 on back to …..well, a long time ago! Scrapbooking hasn’t went so well for me either. I would put photos of my daughters, dogs, and my niece and nephew in the book. I haven’t started any photo albums since our old photos and SD cards were destroyed. Thank you for all the tips. We just returned from our 25th anniversary trip out west. We live in Michigan and my husband had never been west of the Mississippi River before! I would love to make a photo book of it…. I’ve been wanting to make a photo book of our first four years of marriage, so that’s what I’d use the photo book for! Our trip we took this summer to Puerto Rico. I know you’ve written about MyPublisher before but these tips are great! Thank you. I would work on a book of our newly expanded family! I have to admit, I’ve never done one of these. I’d do my Alaska trip. AMAZING scenery. As in whenever I think about it and remember, I still can’t believe I’m so lucky to have gone there. I’d put the pictures I’m going to take during my 30th birthday trip to Nashville in October! All our pictures from our most recent vacation! I tried my publisher because of you and I loved it. If I won a book I would make it of our most recent beach vacation. I would put in photos from my son’s new born photo session. 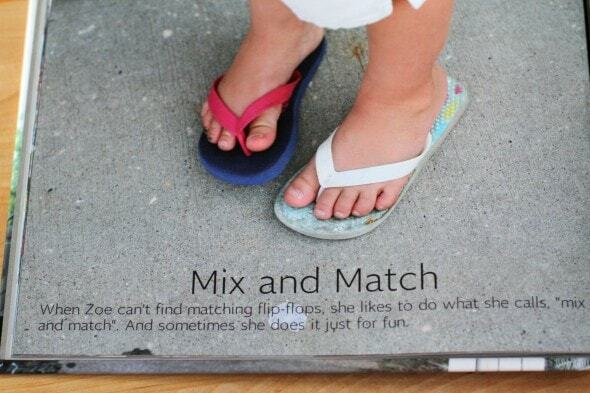 I have a book like this for my oldest son, but haven’t created one from my second son. Being a middle child myself, I don’t want Hank to miss out on a new born book like his brother’s. I would make a book of our family trip to Vancouver earlier this summer. I’ve made books for my kids every year since they were babies and they still love pulling them out and looking at them! I would love a photo book with our Montana vacation in it! My parents celebrated their 50th wedding anniversary this year so I’d probably make a book of all the family pictures taken that day. I would put pictures of our boys in the book, probably from our trip to Myrtle Beach this past summer. Thanks!! I will fill this with summer pictures of our three children! We went to the Sierras, beach camping, San Diego Zoo, and more. …I might just have to make a bunch of these! I have 6 kids to put in a book. Thanks for the great tips! I would like to make a book of photos documenting a summer cottage building project my father and I worked on this summer. I tried to make several books before, but never finished. They just never seem right. Thanks for those tips. I would put pictures of our last vacation to Florida. I think this sounds like a good option to create a scrapbook of old/ancient family photos and memorabilia that are deteriorating over the years, if I can get them scanned and in a digital format. Thanks for the give-away and the tips! Our first grandchild was born this year so she is the main subject of my recent photos yet to be enshrined in a digital storybook! I would love to win this! I would do pics of my two girl’s recent birthday parties!! I will make a book of my twin girls’ preschool art from last year. They attended an amazing art based pre-school but now I have all these huge paintings and drawings that I have taken pics of but done nothing with… Yet!! Love your advice And your blog! I made my first MyPublisher book this last spring and loved it, so I’m eager to make more! My next one will either be current pics from this year (like, the arrival of baby #6 that’s due any day now!) or working backwards into last year’s pics. Love all these tips from you! I desperately need a book for LAST YEAR’S summer vacation…..
I’d love to do a baby’s first year for my younger son. His 1st birthday is in November so it would make a great Christmas present for grandparents. We did one with my older son and it turned out great! I usually keep up with my books via Shutterfly Groupon deals, but I’m all out of those. So this one would be our Summer 2014 family book. I would use it for 2014 holiday pics (that I will take this year!) – great give-away and great tips! My nephew just got married and their professional photographer did a terrible job so I had everyone at the wedding email me the pics they took and I’m going to put together a photo book that hopefully will make up for the disappointing pro photos. I am a new Mom (as of May!) and I really need to put all these digital photos of Leila’s trip home from the hospital and her first few months at home into an album! It is a busy time but your post is motivating me to buckle down and make the photo album. I was thinking I could order copies of the baby book to give to the grandparents for Christmas too. My holiday in Paris earlier this year. I would put photos from our August 2014 Caribbean cruise in it. We are foster parents and I would use this awesome giveaway to make them a memory book of their time with our family! I would make a photo book for each of my children. They are as different as night and day so each book would be composed completely different from the other. We’re taking our kids on a cruise next month. I’ve never made a photo book but I’d sure love to document this trip. We’ve been looking forward to it for a long time. I’d love to create a photo book with pictures from my recent trip to Puerto Rico! It was such a fun trip with so many beautiful places to visit, definitely gotta go back soon!! I would like to make a photo book for my mom, using pictures she’s taken – because she would never do it herself. I’d use it to make an anniversary gift featuring photos from our 30 years of marriage. Love these. I would make a book of photos from my nephew’s birthday party. I have the photos — want to do something fun with them! My mom takes A TON of pictures. My son just recently mentioned that Grandma has a lot of really good pictures and maybe we should put them in some sort of album for her. I would love to be able to make one of these for my mom. Thank you for the great tips! I would make the entire photo book a tribute to my daughters’ first dog, Ellie, who passed away this past August. We acquired her from a shelter at 8 weeks old and she was a faithful companion to both girls for 10 wonderful years. She was a regular homework supporter, slumber party guest and bonfire participant. She is greatly missed by both girls! Your books look great! I would love to do a book about our trip to Island Park, Idaho this past summer. Love love your ideas! I’m fairly new at making photo books and love them too. Ahh where would I start? There was a time when I made a few of these with the plan of one for each season, each year. Then I had baby #3 and then baby #4. It’s been awhile since I’ve made one, long overdue. So I have plenty of photos and a few family vacations to choose from. Thanks for the great tips!!! Thanks! I am so excited to make a photo book for my parents for their 60th wedding anniversary! Our entire family got together to celebrate with them and I have so many photos of them, their grandchildren and children to share! The timing could not be more perfect. My husband and I just returned from our first trip to Italy and I’m looking forward to putting our picture memories together! I would make a book of my daughters 2nd birthday party!!!! Thanks! I am so excited to make a book for my parents’ 60th wedding anniversary! The entire family celebrated with them this past weekend and I have very wonderful photos of my parents, their grandchildren and children! I would put the photos that I have bee hoarding away for a couple of years from past beach vacations. Travel photos – none of them have ever made it off the computer and onto paper! I’ll put my son’s first year baby pictures in a My Publisher book! Oooh gosh! I would love to make a book for my dog Jasper. Because I’m awesome He came from a rescue, and he’s four years old. But before the gal at the rescue died (unexpectedly..it was very sad), I managed to get all the photos she had of him. And it would be mooooooore than enough to fill an entire book. I would put in the pictures from my trip to Japan with my mother (visiting her family in 2005! ), and give it to her as a birthday gift later this month. I think it would be a great gift for someone who never asks for anything. Ooh this looks fun! I would make a book of beach vacation photos. I’m not sure where I would start. I have boxes of pictures just sitting around! I would put pictures from a trip my granddaughter and I shared to London, Paris, Rome and Capri about 9 years ago. I would put photos of grandparents with their grandchildren over the years. We ran our first marathon in Disney world earlier this year and took tons of pictures! I would love to make a book full of those pictures. Thanks for all the tips! I have so many to do I’d have to start with this past summer and work my way back. Cottage, camping trips, baseball and soccer games. My daughters year 1-2. That way I’ll have one kid up to date! I am about five years behind so I guess I would start there! I have only done shutterfly but these books look like they have tons more options. I think I just need some motivation to get going again! I would love to create a book from our summer vacation. I’d make a scrapbook with my London pictures. I haven’t organized these yet and it’s past time. All of my 2014 gardening and canning pictures! I would like to do a book for my husband and I. Being 12,000 miles apart, and then finally united, and 5 children later, I do not have a photo book for us, even though I am working on a scrapbook (not digital) for our children. I have been debating on going digital for a photobook, and this would be a good opportunity to do it! I would like to use photos from this past year, when my oldest daughter graduated high school and moved to college. I really want to mark this time in our lives! Thanks! I have twin grandchildren who are now 8 years old, a boy and a girl. I did a scrapbook of their first year. They were premature and our little grandson had a couple of surgeries the first year. Well, because we were so busy, we all got behind on many things, but not taking pictures. We need to get caught up and this will be a great incentive. I would probably put photos from this past summer in a photo book; there are lots of good ones to choose from. I would love to to a book of all of my kids’ halloween pictures from the first’s baby picture until now! They love to look at the previous years’ costumes. Thanks for the opportunity! Thanks for the tips! I would put photos of my little one. My friend recently had her first baby girl! I would make a photograph book for her including photos taken from her baby shower, hospital and home shots. My friend recently had her first baby girl! I would like to make a book for her including photos taken from the baby shower, hospital and home shots. I don’t have any pictures of any of my 6 children in photo albums of any kind yet. Yes, I’m a bad mom. However, I think I would like to make a book for my in-laws with a page for each of their (13) children (and their families). . . with some of family get-togethers for the extra pages. Their children and grandchildren might be scattered, but it’s so important to them. I have so many photos I am not sure where to start! I think I will start with this summer’s vacation. I had been thinking about doing this with our photos from a trip to Puerta Vallarta last month. I’d love to win and then I’ll for sure use MyPublisher! I want to make a photo book for my mom – she went to South Africa last year! I would like to make a family yearbook type of photo album so I would use photos from last year! I would love to fill a photo book with pictures of my grandchildren and great-grandchildren. Would so love this. I have never made a photo book and have been wanting to give it a try. I would love to make one of these with our wedding photos! The ones from the photographer are crazy expensive and we just want something our friends & family can flip through (without feeling like they need to wear gloves!). Thanks for the tips. I would like to do a day in my life book, for my Dad who lives 800 miles away. Similarly I gave up scrapping awhile back and have great guilt of not preserving our memories better. I’d use this to start doing one book for each year going back to 2010. I would like to make a photo book of all of the photos of my cottage garden this past summer, especially since our family celebrated my Mom’s 80th birthday party in the cottage garden ! ohmygoodness, I have got to get better about creating photo books to capture my family’s special moments. since having my twins two-and-a-half years ago, I have not managed to make a single book for myself (made two for their grandmothers), and I have only printed a hand full of pictures (despite taking many). winning this might give me the kick I need to get started on my own library! Oh Kristen, the list is so long of photos I would put in a book! I have been extremely bad at keeping up with photos! Although we do look at them on the computer a lot! 2014 photos of my 3 year old daughter. I would make a book of our recent family vacation to CA. We came home with 1500 photos so this would be a good reason to sort through them all. Would like to make a book of a special trip to Napa valley, San Francisco and the Pacific coast. My husband and I just got both boys through college and we wanted to celebrate with a special trip. It couldn’t have been better. We went to China town, Ghiardelli square, the Golden Gate bridge, Napa valley wineries (I have a cousin who works there) and hiked in a redwood forest, Armstrong Woods. We spent a night in a cabin on the way to the pacific ocean. We ate dinner at Jenner by the bay overlooking the Pacific, based on a tip from the lady we rented our cabin from. Truly a delightful trip to celebrate our boys and our 26 year marriage. I would put all my pictures from 2007 through now. I’ve been looking at MyPublisher but just need to make the time to actually upload the pictures and organize. I would start a book of this year’s photos. I’ve done a few of these but have many many years to catch up on. I love the look of your books and appreciate the tips! Thanks, Kristen, for the tips and the giveaway! I’ve been photographing my son’s artwork and projects from school, and am hoping to get the best of those into a photo book as a way to remember his school year. Pictures of my 2 beautiful children. Such helpful tips! Would love to try making one with our favorite photos of our daughter’s first year! I do a photo book for each year of our marriage and just finished another one last month. But I’m a couple years behind, so I’d be working on the 2012-2013 photobook with this giveaway. I usually use MixBook (my fav! ), but haven’t tried MyPublisher. After 2.5 years, we finally decided to get family photos taken with our kids so I would happily make a photo book with those pictures. I am in awe of the fact that you have done 14 in the same amount of time! I would love to make a book of my baby’s first year! I will fill my photo book with pictures of my son’s 1st year. He is 14 months now and I would like to make a book for each year. I just got married (9/27) and would LOVE to send a photo book to my 87 year old grandmother! I would love to make one of these showcasing our photos from our various hikes around Colorado! I would fill every square inch of the book with the pictures from my darling Mom’s 80th birthday party, all the family, the beautiful weather, the delicious food and Mom’s favorite lemon meringue pie! I’d like to make a book from my trip to Australia! The books look amazing!!! What a wonderful idea to have something to go back to as the kids get older. I would fill my first MyPublisher book with photos of my 3 children together smiling. My oldest just left for college and I really want to cherish the happy memories of them all together. Thanks for the tips! I’ve done a Highlights of the Year for the last 8 years, and yeah, my first few ones are BAD. Someday I want to redo those. Right now though, I’d probably make a gift for my mother in law. I want to make an album for my parents. Photos from when they got married, when they immigrated to the U.S., family vacations when we kids were growing up, weddings, grandchildren, etc! I would love to try this and put my son’s 4th grade school activities. He’s in 5th grade now and I have not done anything with those photos. I would put family photos in mine. I have two already, and would do what you are doing. Start going backwards to older photos thay need albums. I’d love to start making online photo books of our first baby girl! My 5 grandchildren will fill those pages very nicely. I love your suggestions for creating the book. Hi! I really wouldn’t know where to start! I don’t have ANY photos in a book-URG! Reading about your work on keeping up with your photos has motivated us to begin work on our massive photo “issue”!! I’d love to use the MyPublisher book to start making individual books for each of my kids, ages 5 and 6. I know they’d love to look through them, and I’d love to have all those fun memories at our fingertips. I’ve been wanting to make a wedding album for some time, but always thought it was a little on the expensive side…but having those pictures will be priceless! With these tips I’m sure to do it now! I would love to make a photobook of life as a family of four. I’d make a book of our 52 (bike) rides in 52 weeks. Only 10 to go! I would make a book of photos of my grandparents. I miss them and don’t have many good pictures. I would love to try to make one of these! Thanks for this chance. The tips are great Kristen – thanks for sharing your wisdom. I’d make a book of the awesome trip to Alaska and Washington state we took two summers ago. My husband takes stunning photos – I’d love to make a book for him like these! A LOT OF THEM! Because I have 22 years of marriage and 18 of parenting I need to go back and put in books! I traveled to France two years ago and I would love to have those photos in a book. Or I might do my husband and my dating years while I was in college. I am caught up in everything else. Couple of years ago, I inherited several boxes full of unlabeled, unorganized family photos. I’ve been working on scanning them, and would love to make a family histrory book, with some moments from the past century. These publisher books look really great! And seem to be a tig bit easier than putting your own photos in a photo album. I would probably put a collection of my favorite pictures I’ve taken since high school. My daughter is an avid photographer, loves to travel and is very frugal so I would give a free photo book to her so that she can document her next trip for us to enjoy! I have been wanting to try out mypublisher for ages after reading about it online – the books look perfect for a first year baby book for my son. I’m not sure which photos I’d choose. I don’t have a fancy camera, but I have over 11,000 photos on my iPhone dating back to 2007…I’d say I need a photo book or 10! Love, love, love these tips! I want to win;). Have made 3 books so far and want to make more. Would like to make a book of my family enjoying Clemson football and tailgating together. I’d put the photos from our recent weekend vacation to Great Wolf Lodge! With 5 kids, this is a splurge for us, but we got some great pics! water slides, surfing, and a huge bucket that splashes water down. Great! I would make a book of the photos I took when my family participated in the Run Up for Down Syndrome run/walk in June. We do this every year for our daughter Emme who has Down Syndrome. By the way, October is Down Syndrome awareness month! I’m thinking of doing some of these books – I have a lot of family photos since my parents passed and have come across some of my parents, brother, and myself when we were little and I’d like to put these together in a book then later do other books with family. Never tried a photo book, but I’ve wanted to. I’d make a book of our family trip to Scotland! So excited for this giveaway! I have a 4 month old and can’t wait to make some photo books of the many pictures I’ve taken recently! I would make a book of my sister’s wedding photos for her. I would put all the vacation photos that never get printed. thanks! I love my publisher (and just ordered a book, too!). I would put pictures of my two girls in there, from the past year. They would love looking at the pictures, and I would too. Pick me! Pick me! I have tons of pics of my 2 boys that I need to organize. This would be great to get me started! I would put pictures of my babies with the funny things they’ve said over the years. It would be a treasure. I would put in photos from our recent vacation to South Dakota. I work at a bakery. It would be wonderful to upgrade our wedding cake portfolio to a bound book rather than the loose leaf binder we are currently using. My daughter and son-in-law will soon be adopting! Since our family is spread all over the U.S. I’m making a family photo album so he/she will at least know our faces! Would love to put some of our favorite family photos of our children (now grown-up) when they were little , so they can have a book and show them to our grandchildren ~ ages 1, 4, and 7! To answer your question would be complicated to say the least. I have a whole entire bin (80qt to be exact) of photos, as well as photos stored in a hard drive, that are in need of finding a better home than the one they reside in! I believe I would start with the most recent and work my way back. Our recent move and summer photos would be my first priority. I am hoping that once I discover how easy this is I can start setting realistic goals for myself in this area. I too, was an avid scrap booker, then the addition of more children to our family, work and now homeschooling, well that’s how a bin of photos is created. Thanks for all your posts, our family has gleaned much from you! Beautiful photos of our lurcher Jack who has now been with us a year and the horses I help lead at Riding for the Disabled. I would then give finished photo book to my lovely nieces and nephew who live in Belgium and are dog and horse MAD! but can’t have any pets. I made a photo book a few years ago–I think it was 2011. I don’t get the camera out very often (and my phone is a cheap one that takes small pictures, so not always good for a photo book). I had to make an effort to take enough photos that year to make a book. I’d love to win a free book–I’d fill it with pictures from 2012-2014. I’d put in photos of my daughter and use it as a Christmas gift to my parents. I would love to win this! I’ve made a few different books from My Publisher! I was wondering what size do you stick with normally? All of my books are the classic size…not sure of the dimensions off the top of my head, but it’s the oblong medium-sized book, not the really large one. I’m leaving for a Mediterranean cruise next week and I was already planning on making a photo book to document my travels. A free one would make it even better! I have recently begun to make yearly family photo books, so this would help me to accomplish that! I’ve got quite a few years to go back and make books for. I have a ton of basketball pictures of my 12 year old son. . I would put them in a book for him. This is a great tutorial. I have been so gun shy about making these. Thanks for the “coaching”. Thanks for the tips and for sharing the give-away opportunity! suggestions on some of the things to upgrade. I would finally make a book of my son’s first year! I’d try to catch up on birthday books! I’ve done books for each of my kids (all 2 of them!) for their birthdays. Important pictures from the year. They get this as a gift, and I hold on to them so they don’t get ruined. They can look through them with me, but they don’t go to their rooms. When they turn 18, they will get these books to take with them. I had a friend who scrapbooked this, but this idea to me was easier and actually cheaper than what she did, so I do this! Photos of my grandson’s first year!! How exciting! You’ve given some great tips that have inspired me to get serious about finally organizing all our wonderful family photos in a beautiful way! Since our five daughters are now in their twenties, you can see that this is greatly needed. I LOVE the photo books for this project. I’d make a beautiful book of photos from a trip to Nepal, including Mt. Everest. Thank you for this offer and the useful tips! I would do pictures from our trip to Michigan. It’s one of the only trips we’ve ever taken just for fun, so that would be really awesome! 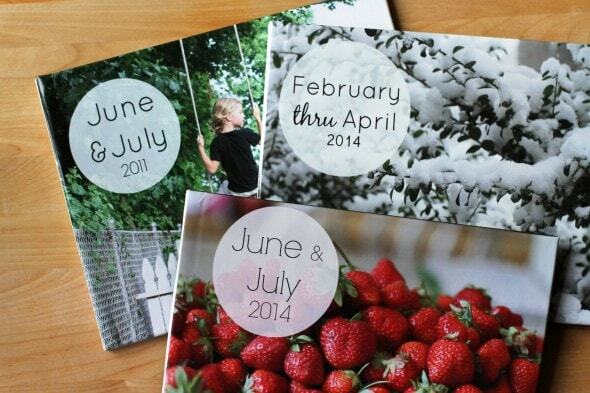 Love the photo book ideas! Actually, this is my first time commenting on your blog, but I will be referring pretty soon to your excellent articles on a contented Christmas and holiday time management ideas that you wrote a couple years ago. I reread sometime in October. Thanks for an interesting blog! If I win the photo book, I will probably start at the beginning of my marriage and the home where we had my first son. I now have three gorgeous kids and need to get caught up getting the photos in an accessible place to fully enjoy them. Hunting season pictures for my husband. Oh, I’ve been waiting all summer for something like this. I’ve picked out our family’s favorite photos from the past year, but am yet to commit to a photo book. So, yay… if I win!!! Most definitely, my book will contain photos from our incredible trip to England this past summer. I hadn’t been out of the country (USA) in, literally, fifty years! I had the opportunity to accompany my professor/husband on a study trip this summer and we spent 3 weeks in England. North Yorkshire was unforgettable. I would create a photo book of our family – me, hubby and our twin boys Caleb and Tristan who are 2.5 years. It will be a gift to our family who live far from us (in South Africa) and are always nagging me for more photo’s of the boys! p.s. thanks for the tips! I have been a photographer for 42 years. I am not a professional photographer but I am an excellent one. Being from Chicago I would make one either on old Chicago street photography or new Chicago. I have photos I have taken from the early 70s to the mid to late 80s. I could then make one using photos from the last 20 years. I would love to share that with you and your readers. I really hope I win one. I am 7 months pregnant so I would make the book of my pregnancy and the babies birth. I’d do a quick baby book for my daughter. I’m working on a longer one, but it would be nice to have one now with the first 7 months. I would love to make a photo book from the snapshots we took when our second son was born this past February. I would be inspired to create a photo book for my 17 yr old son’s First Day of School photos! I’ve taken them every year since his pre- school days, and since this year he started his senior year of high school that tradition will come to a happy closure. it would be a very nice momentous. Oh my gosh! I would have to say that I would fill it with my new grandchildren! My daughter married a very nice man with a 5 year old and 1 1/2 year old girls, and they are expecting their 3rd girl. I’m so excited to be a new grandma that I’m quilting up a storm. I’d love to do a photo book with them.